Feeling the winter doldrums? 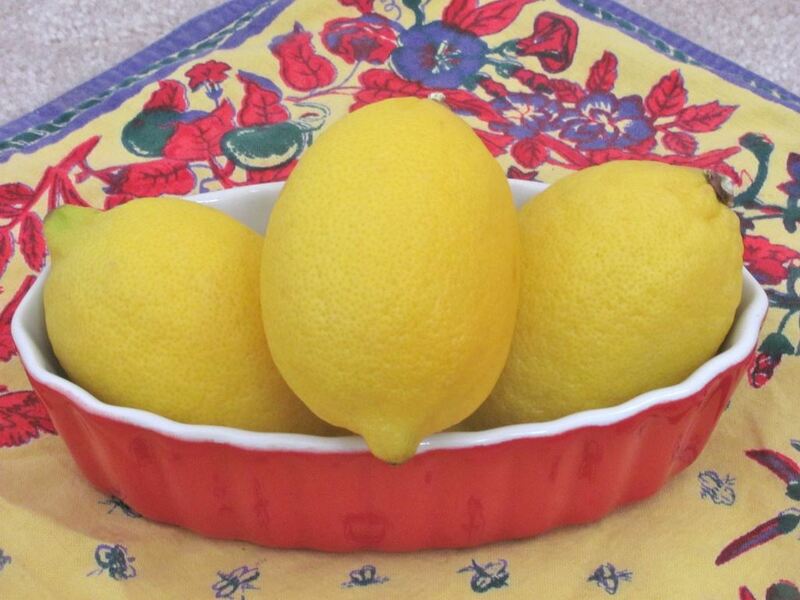 There’s nothing like some lemony sunshine to help brighten a dark day. Inspired by winter citrus, we’re dedicating this week to our favorite pucker-y fruit, the lemon. One of the best vacations we ever had was a trip to Sorrento. Of course the scenery was beautiful and the food was amazing, but one of the best parts of the trip was the ever-present fragrance of lemons, from the lemon groves that dot the hillsides to the trees that flourish in nearly every backyard. 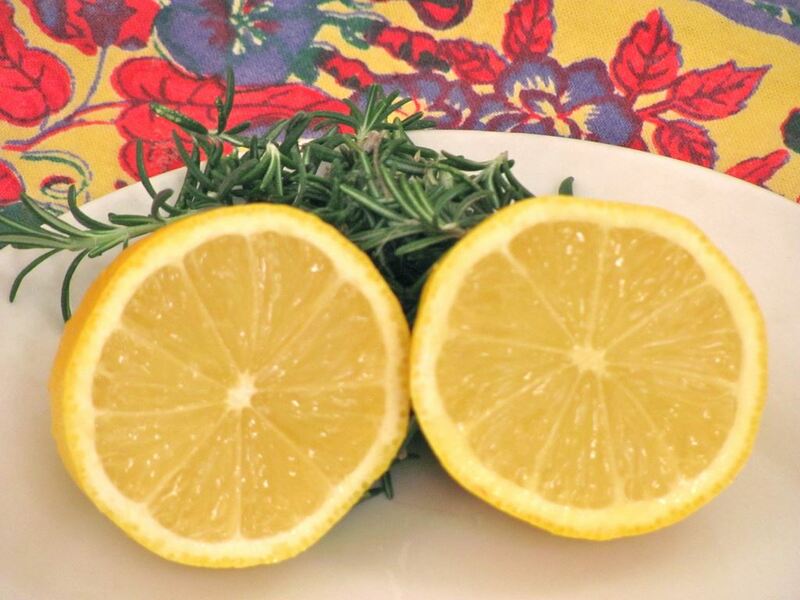 They take their lemons seriously on the Amalfi Coast, serving it alongside fresh-caught fish, grilled vegetables, citrus-y sponge cakes, and best of all, in limoncello, the traditional liqueur of the region. When we’re feeling the winter blues – or thinking longingly of Sorrento – we like to cheer everyone up with a quick batch of lemon bars. These little bars have a tangy lemon custard inside a crumbly sweet crust. 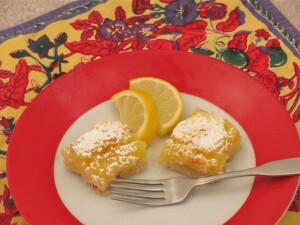 To make these lemon bars, we tried out the new seedless lemons from Frieda’s – The Specialty Produce Company. Frieda’s was kind enough to send us some samples, which brightened up our weekend considerably. These oval-shaped cuties are easy to squeeze, and there are no pesky seeds to filter out. Perfect for a dark winter day. Combine flour and powdered sugar; cut butter into the mixture with a pastry blender. Press mixture firmly into baking pan (9 x 9 inch or 7 x 11 inch). Bake at 350 degrees for 15 minutes. Meanwhile, combine the sugar, 2 T flour, and baking powder. Add eggs and lemon juice, stir well to combine. Pour mixture over baked crust and return to oven. Bake for another 25 minutes or until custard is set and knife inserted in center comes out clean. Cut into squares when cool. Optional: Dust each square with powdered sugar. Coming up next: Meyer lemons.